Are you tired of O.J. Simpson? Is O.J. Simpson tired of O.J. Simpson? Well, another show about O.J. Simpson is in the works—a documentary series narrated by, who else, Martin Sheen. To follow up The People v O.J. Simpson: American Crime Story and ESPN’s documentary O.J. : Made in America, Investigation Discovery will air the six-part series Hard Evidence: O.J. Is Innocent, which revisits the entire case all over again with new details for the truly obsessed murder enthusiasts. The show will reveal critical new evidence in the slayings of Nicole Brown Simpson and Ronald Goldman, as well as unveil an entirely new hypothesis for what happened in Brentwood 20 years ago. 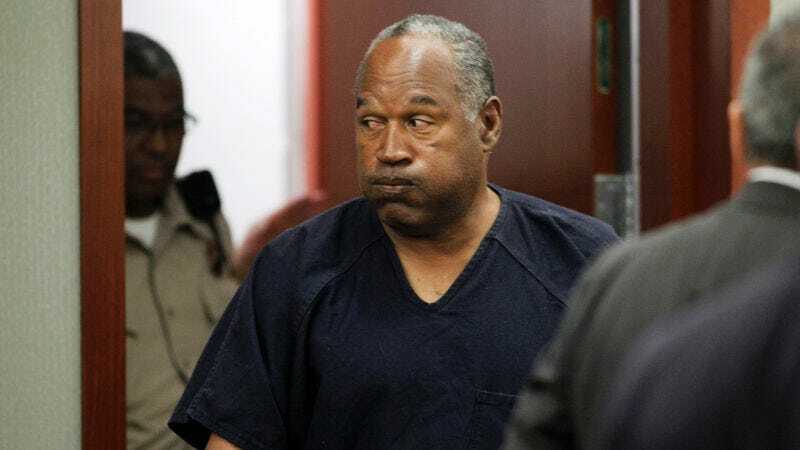 While Simpson was acquitted in the so-called “Trial of the Century,” he was found liable in a civil suit two years later, and questions about his role in the slayings remain widespread. Sheen serves as executive producer for the series, which is based on alleged key findings and evidence written about in private investigator William C. Dear’s book, O.J. Is Innocent and I Can Prove It. This pick-up makes total sense for a network that many turn to for gruesome, horrifying content. Besides The People v O.J. Simpson, the LAPD’s discovery of a knife found on Simpson’s old property also reawakened this beast of a trial. The series is scheduled to air in early 2017, which gives you enough time to stop caring about the trial and then care again.